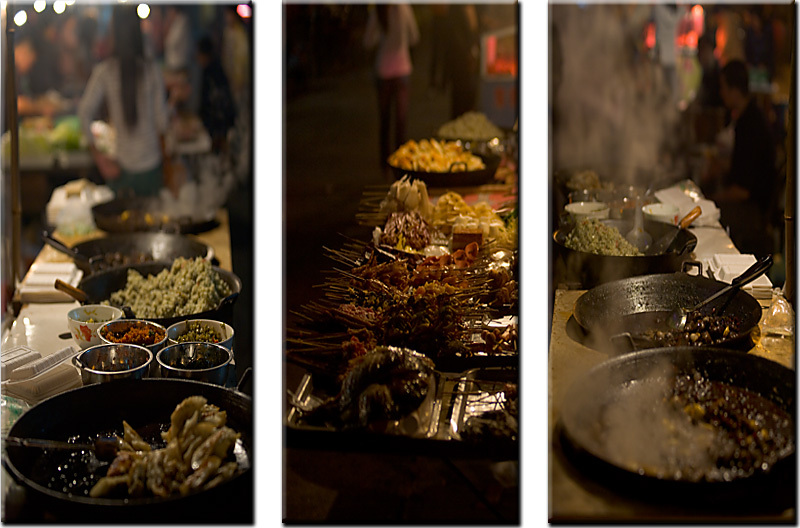 Fenghuang's nightly food market offers sizzling, steaming and boiling foodstuff options beyond belief. On a separate note, I'm not too excited about how this triptych turned out. 3 separate unplanned photos were thrown together ad-hoc.